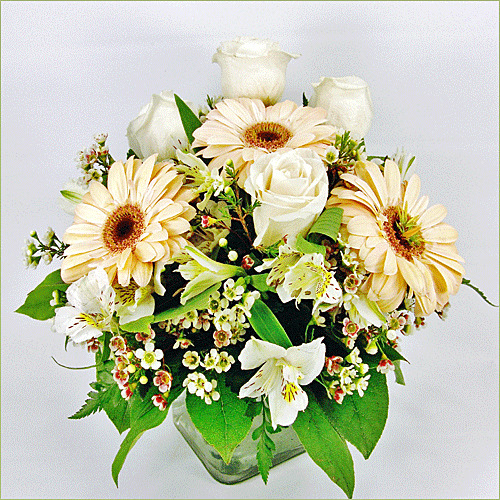 Gerbera daisies and white roses are the soft focus of this arrangement. Alstroemeria adds sparkles of variety to the gentle mix. Standard Center piece includes x stems. Deluxe Center piece includes x stems. Premium Center piece includes x stems.